First of all, let’s get a disclosure out of the way. Mary DuBuisson’s campaign manager, James Hartman, is an occasional contributor to The Hayride. However, I did not speak with him or work with him in any manner about this post. This post is solely my personal view. On Saturday, residents of Slidell and Pearl River have an important decision to make. What kind of a state representative do we want? Do we want a representative beholden to Washington D.C. special interests or do we want a representative to work for our district? Do we want someone who will grandstand for their own personal agenda or do we want someone who will be attentive to our needs in the district? Mary DuBuisson and John Raymond are both registered Republicans, but that is where the similarities end between the two. DuBuisson is the former legislative assistant to Greg Cromer, who was the former occupant of this seat before being elected mayor of Slidell. Raymond is a pastor and businessman. After reading the platforms of both candidates and how they have conducted their campaigns, I believe Mary DuBuisson is the best choice to represent us in Baton Rouge. She will bring a conservative, pragmatic voice to represent us in Baton Rouge. She will also use her position to promote the welfare of District 90 and not grandstand on behalf of a personal agenda. Finally, she has the experience and institutional knowledge to hit the ground running without any on the job training. DuBuisson has pledged to be a full-time representative. She has a 35-year record as a businesswoman and volunteer in numerous community groups. Despite what her opponent and his boosters claim, DuBuisson is a conservative. “I consider myself a conservative, in the tradition of Barry Goldwater and Ronald Reagan. Government exists to serve the people, and not the other way around. Government should stop expanding, stop spending as much as it takes, should take less, and should focus on the essential functions: public safety and health, justice, and national security.” DuBuisson wrote in a questionnaire posted on her website. If there were any doubts about DuBuisson’s commitment to conservatism or the Republican Party, the Greater New Orleans Republicans would have never endorsed her. DuBuisson has pledged to vote against any and all tax increases. She also pledged to work with lawmakers on both sides of the aisle to fix the budgeting process. 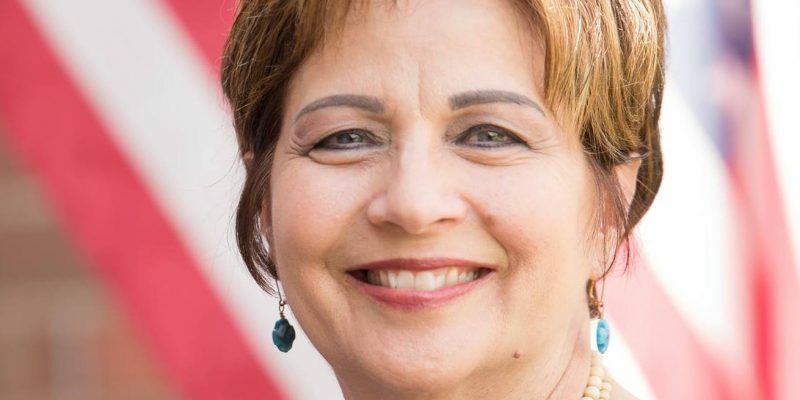 Finally, she has made public safety a major plank in her platform whether it be from crime or flooding, which have earned her the endorsements of St. Tammany Parish Sheriff Randy Smith and Slidell Police Chief Randy Fandal. Such dedication to the district and principles have also earned her the endorsement of the unquestionably conservative State Sen. Sharon Hewitt. Unfortunately, we now have to turn our attention to her opponent, John Raymond. Raymond has run a negative runoff campaign that has frankly insulted the intelligence of the district. Take this week’s claims by Raymond and the Slidell Independent newspaper. Raymond claimed in the paper that DuBuisson was endorsed by Forum For Equality, which is a gay rights group and that their slogan was “Make America Gay Again.” The slogan is false. It is actually from the Human Rights Campaign. As for the endorsement, it must be the quietest endorsement ever because FFE is not publicizing it. Last week, Raymond and the Slidell Independent claimed that DuBuisson was not pro-life. According to Louisiana Right To Life, that is false. DuBuisson is 100% pro-life. Raymond also has a habit of running away from the media, except of course friendly media outlets. The New Orleans Advocate had this damning line in their profile of the race on Wednesday, “Raymond, who is running on the slogan “Let’s fix Louisiana,” did not respond to multiple requests for an interview.” If he can’t handle a reporter, how will he handle John Bel Edwards? Raymond is also campaigning on how strong of a supporter of Donald Trump he is. But Public Service Commissioner Eric Skrmetta, who led the Trump campaign in Louisiana both in the primary and the general election, has endorsed DuBuisson. He must not have been impressed with Raymond’s Trump support. Finally, Raymond is campaigning on issues that either he has no impact on as a state representative or that have already been decided by the federal courts. He is pledging among other things, to fight illegal immigration, oppose gay marriage, and bring back school prayer. The federal courts have already weighed in on those issues and said no. Running on those issues is just simply grandstanding to low information voters. Long story short, John Raymond has simply disqualified himself from representing our district as a state representative by the way he has conducted his campaign. There is only one person who could represent our district honorably on Saturday’s ballot and that is Mary DuBuisson. Please join me in voting for her on Saturday. Kevin Boyd is The Hayride’s senior correspondent and lives in Slidell. The thoughts in this column and entirely his own and do not necessarily represent the views of The Hayride and its other contributors.